Imprint Method: Embroidered - CLEARANCE ITEM. DYE LOT MAY VARY. 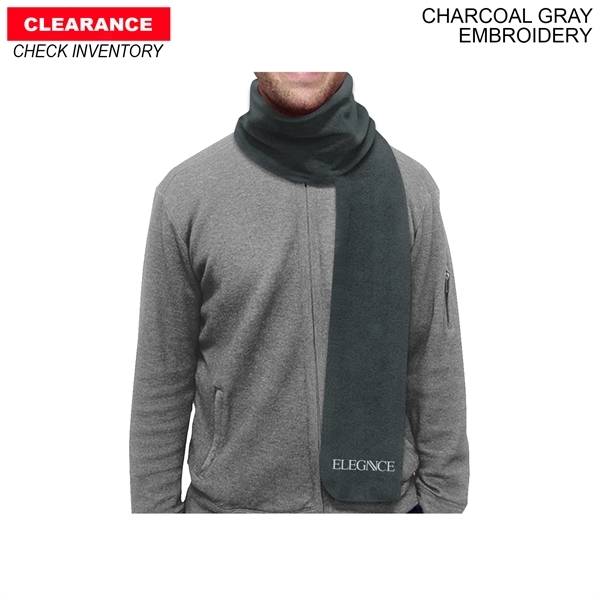 Give your customers a reason to smile all year long when you give away this Urban Fleece Scarf! Made of 100% polyester, it measures 6" x 60" and is lightweight with a wonderful soft touch. The slim microfleece scarf also has an anti-static treatment so that lint and dust won't stick. It's made in North America with quality craftsmanship by workers who care. Machine wash. Add an imprint of your company name, logo and advertising message to wrap up your end of the year holiday campaign! Size: 60 " x 6 "
Price Includes: Price Includes: Embroidery up to 8000 stitches, 1 location. Price Includes: Per additional 1k stitches.